If you are interested in undergoing Invisalign treatment, our orthodontist near Alpharetta, GA, wants you to know how the process works and what you need to do to get started. First of all, Invisalign is an advanced orthodontic technique that requires significant skill to master. The most important decision you make will be to choose an experienced doctor. Dr. Walton has the reputation of taking on the most complex cases (cases that would not qualify with other Invisalign providers) and achieving excellent results. RESULTS, not the total number of cases completed, are the only way to determine if your provider has the technical skill to achieve the RESULTS you are after. Most providers will struggle to show you their before and after photos, let alone show any with discernible changes. Many will show only the “stock” before and after images that Invisalign provides them with. We invite you to review Dr. Walton’s Invisalign Before and After photos, so you can feel comfortable trusting Walton Orthodontics with your treatment. Next, you will need to schedule a complimentary consultation with our orthodontist near Alpharetta, GA. Dr. Walton will first ask you what your chief concern and treatment goals are. He will then look at your teeth and discuss some of his concerns and solutions available to achieve YOUR goals and to give you the smile that you have always wanted. The cost and duration of treatment will be discussed as well. 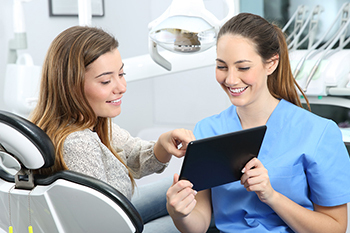 If you elect to proceed further, proper diagnosis and treatment planning requires additional records including specialized photos, X-rays, and 3-D molds of your teeth, which are not included in the complimentary assessment. If you decide to go ahead with treatment, specialized molds of your teeth and a bite registration will taken. These molds create an exact 3-D imprint of your teeth which will be used to generate your specific treatment. These records are immediately sent overnight to Align Technology in California, then routed to Juarez, Mexico, where the molds are scanned to make a 3-D model of your teeth. This digital file is then sent to Costa Rica, where technicians (not orthodontists or dentists) create a simulated video by digitally manipulating the teeth on a computer screen, so that they are aligned and positioned perfectly (called a ClinCheck, see video below to review process). This “rough” simulation of the way your teeth will move is sent to our orthodontist near Alpharetta, GA, Dr. Walton, to be analyzed to ensure that the movements provided by the technicians are biologically and physically possible (usually many movements are not feasible, biologically or physically). In most instances, several modifications or edits of tooth movements are required. This process can take several days. When Dr. Walton is satisfied, the ClinCheck simulation will be approved and the aligner fabrication process will begin in Mexico. The first insertion visit is designed to be easy and short. You will receive 1 set aligners (no attachments) to take home to get used to. They are worn judiciously for 22 hours each day. You will see Dr. Walton again two weeks later for the attachments to be placed on your teeth. At this visit you will be given several sets of aligners to be worn for the next 8-12 weeks. Aligners are generally switched out sequentially every two weeks. In some cases, there may be some variation to this schedule due to the rate of tooth movement. Attachments are tooth-colored and virtually invisible bumps of various sizes and shapes that are bonded (glued) to the teeth enabling aligners to grab hold of teeth and direct their movement. Most of the advanced technology that allows plastic aligners to move teeth is incorporated in the attachments. The judicious use and placement of attachments provide a surface for the aligners to direct forces in specific directions on the teeth to elicit specific tooth movements like rotations, intrusions, extrusions and, bodily movements that are critical to more advanced treatment. If you have been researching Invisalign on the web, you might have read about attachments and have some concerns about how they will look. First of all, they are much less visible than clear braces. Look at the example below and decide for yourself. It’s an example of the extreme use of attachments (not typical) for comparison. The experience of our orthodontist near Alpharetta, GA, has been that the patient is usually the only one to notice their own attachments, especially when the aligners are being worn (22 hours per day). Sometimes teeth do not move as expected, and this may occur for a number of reasons. If this occurs during treatment, a new impression may be needed to “reboot” your treatment with a new series of aligners. This is known as a mid-course correction. The most common reason for this to occur in our office is inconsistent wear of the aligners as prescribed. Refinement corresponds to the detailing and finishing that occurs with braces treatment. It is not meant to be viewed as a failure of treatment, but just another part of the process, if needed. After the first series of aligners, one or more teeth may require some “fine tuning” to complete treatment. If this is required, new impressions are taken and a new series of aligners are used to complete the desired adjustments. In our office, mid-course corrections and refinements are a rarity. One of the biggest hurdles to overcome to orthodontic treatment is the duration of treatment. The field of orthodontics has recently adapted the long held principles of bone remodeling used in orthopedics to safely speed up the rate tooth movement with braces and Invisalign. With medical devices such as Propel and Acceledent, it is now possible to decrease your treatment time up to 50% or more when you visit our orthodontist near Alpharetta, GA. Please visit our page on Accelerated Orthodontics in Atlanta for more information. Routine Invisalign check visits are scheduled approximately every eight to 12 weeks. Dr. Walton will check your aligners for fit and tracking, and will verify your wear schedule. He will also evaluate the tooth movements that will occur with your next series of aligners, and make adjustments to the teeth if indicated and then have you move on to the next series of aligners. As you approach the end of your series of aligners, Dr. Walton will evaluate the final alignment of your teeth and plan for the retention phase. At the end of treatment, the attachments will be removed from your teeth by polishing them off. As with any other form of orthodontic treatment, the use of retainers is required to maintain the alignment of your teeth. Most patients prefer an Invisalign-style clear retainer but a fixed wire retainer, bonded to the backside of the teeth ( or “permanent” retainer) is also available. Generally, it is recommended that removable retainers be worn full-time for a specified period of time, followed by nightly wear for an indefinite period of time.